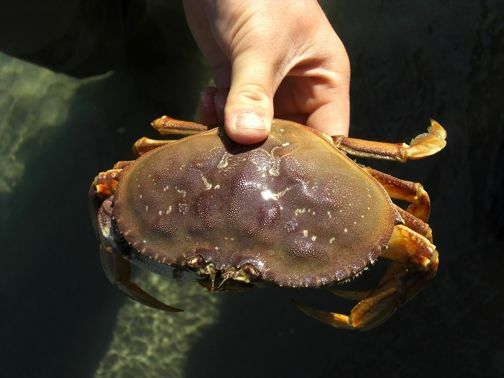 This is the commercial crab of the Pacific Ocean, Cancer magister (also called Metacarcinus magister), found in market places on the west coast of the U.S. Its range is from the Aleutians to central Baja California. It grows to around 7 inches across the shell and is prized for its succulent white meat. It lives on the sandy ocean floor where it forages for food, most often things no longer alive.